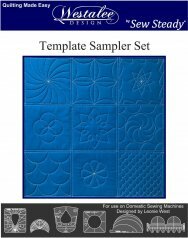 Monday, March 27 will be the second session of our Rulerwork Class - a Quilt-As-You-Go Sampler! Our first class was lot's of fun an we're really excited about the versatility of these skills. It's not too late to get started and catch up with the class. We will definitely be offering the class a second time, but - due to the length - probably not until late summer/early fall. Have fun carrying this bright and beautiful carry-on. It has plenty of pocket space for small accessories such as cellphones. 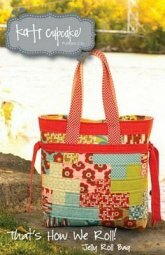 Carol will show you the easy tricks for making this fun and attractive bag. Contact store for supply list. Bag Box Project - Thursday, March 30 - 5:30 to 8 p.m. 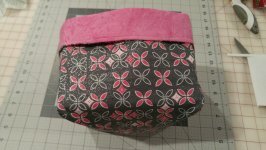 Learn how to use a Linda Winner Designs template to make this cute fabric box!